Home / Decision Centric / How to become a Decision-Centric Organization? Why should you care? While the focus on process, procedural and functional efficiency in every company is very useful, activities that are constrained by these approaches can be highly detrimental to “good business practice”. In a global market that requires agility and rapid response to competitive pressure, it is essential that companies are focused on decision-making, rather than processes, procedures and functions. The key is to empower organizations to quickly adapt to necessary changes while at the same time making high-quality decisions in order to save time and money. This can only be achieved by focusing on every decision that is made throughout the working day. By identifying day-to-day decisions, then modeling and managing them across the organization, companies can create the foundation for the first stage of what will become a Decision-Centric organization. Basically, what we are doing here is enabling organizations to take control of their decisions and truly maximizing their effectiveness simply by managing them. Needless to say, these decisions have always been at the core of the operation, but too often obscured by a traditional focus on processes, applications and business rules. The next step to becoming a Decision-Centric organization is to start automating these decisions. In so doing, we immediately capture essential business domain knowledge about every decision. Then automation ensures the acquisition of consistent high-quality results in scale. Focusing on decisions enables organizations to iteratively improve them and adapt to new changes rapidly. Lastly, automating decisions introduces a single source of truth within organizations which will in turn be utilized across all processes, applications, procedures and functions. By becoming a Decision-Centric organization, business decisions take center stage and metrics take on a new significance, as we can now monitor, measure and improve decisions with key performance indicators (KPIs). Decisions about interacting with suppliers, customers and even employees are exposed in the clear light of day. These could include clarifying the boundaries of retaining clients, acceptable supplier parameters, claims status, pricing incentives, and clear business rules around approvals and so on. All of these may have a more or less profound effect on key performance indicators throughout the organization. 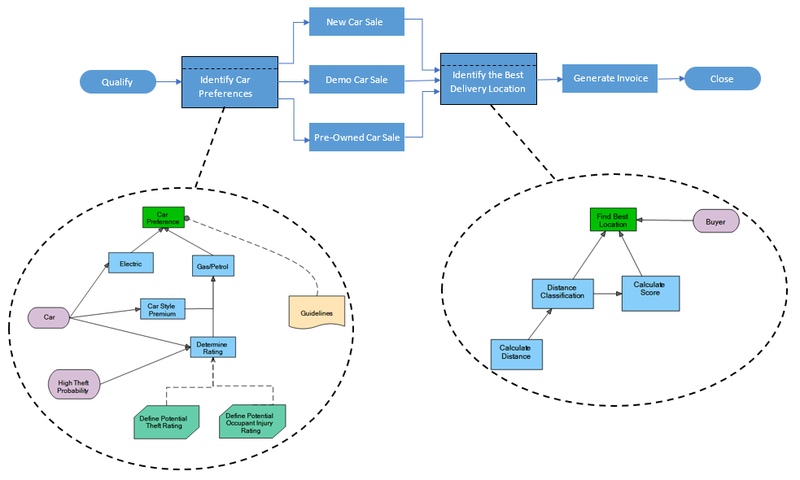 Sample of a car sales process improvement, based decisions that have direct impact on customer’s satisfaction. 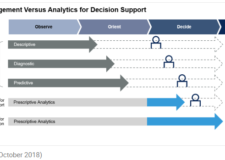 Once these types of decisions become the front-line focus of day-to-day operations, then it is time to look at any candidates for automation (i.e., processes, analytics, AI, RPA, etc.). This is where organizations can really improve long-term efficiency and cost control. This is because decisions will give companies a blueprint of what is important for the business, and which projects have the highest impact. Also, by using this approach, Decision-Centric organizations have a way to align any project outcome with business goals. 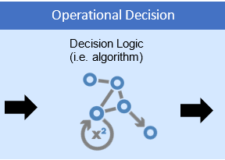 The Decision-Centric approach runs contrary to the traditional decision support model and process optimization. Rather than passively supporting the humans responsible for making operational decisions, people are now simply supporting the system by engaging only when their intervention is required. This means that human resources can be deployed to conduct more complex tasks, thereby maximizing return on investment as well as reducing day-to-day operating costs and error rates. Now processes will solely take care of orchestrating steps, activities and human when needed by providing the next best actions and making decisions automatically based on managed, automated business decisions. In order to meet ever more competitive business challenges in a global marketplace, companies must become Decision-Centric organizations. This is the most efficient way to deliver agility, control, compliance, and decision management in a coherent and integrated way, simply by ensuring business value. 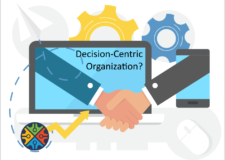 In the next post we are going to discuss the benefits of becoming a Decision-Centric organization in more detail.